On this week's front page - the story of the Youth Strike for Climate Change! We went in and chatted to some of the protestors who are demanding action. 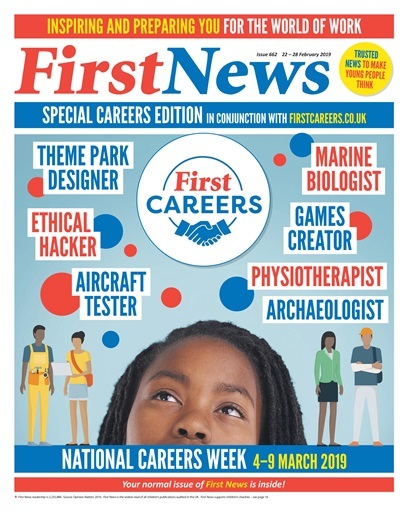 We've also got a special First Careers feature. Not sure what you want to do when you're older? You'll definitely want to check this out. Plus, interviews with Will.I.Am and NXTGEN. We're hearing about how labels on food can save lives, and we're launching something very special with Comic Relief for Red Nose Day. 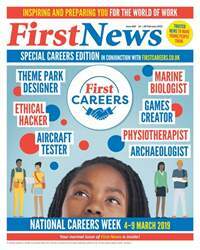 All the news you need to know – inside this week's First News!